Local deals platform LivingSocial is rolling out FastBook, an easy and instant way for consumers to book beauty appointments. 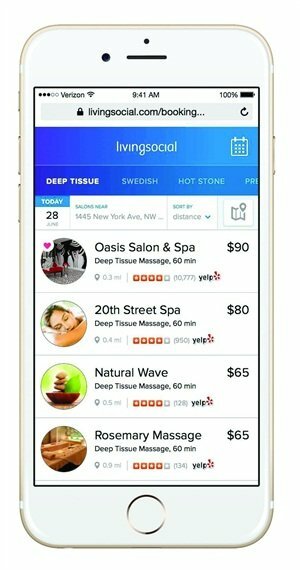 Local deals platform LivingSocial is rolling out FastBook, an easy and instant way for consumers to book beauty appointments. The pilot program was launched in Austin in October. FastBook allows consumers to book and confirm a nail, massage, or facial appointment with spas or salons near them on the same day or schedule up to two weeks in advance. The user-friendly tool allows consumers to click on the desired service, browse and compare prices, then determine the merchant, time, and date that best meets their needs. FastBook also includes photos and ratings of the participating merchants. For more information, go to www.livingsocial.com.